Center Yourself in Divine Balance. As we each share our own passions, we will also explore different moving meditations such as dancing, hiking and singing. 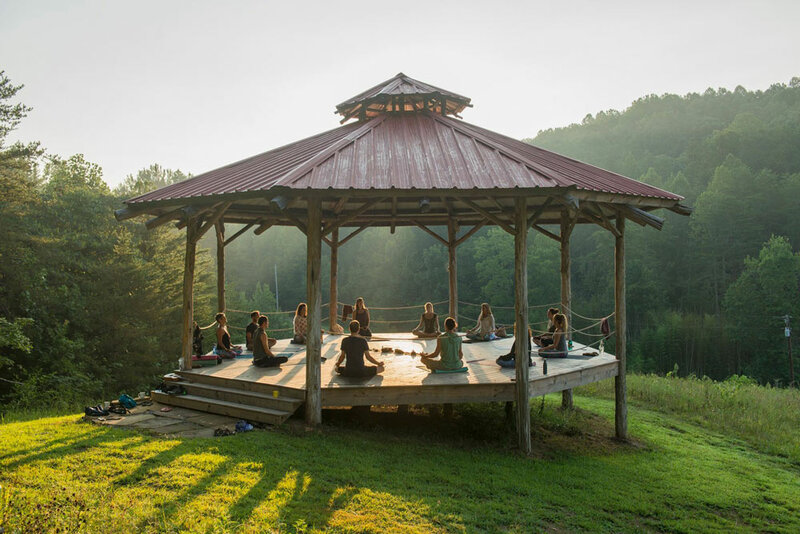 Drawing on the natural serenity of this idyllic valley, cleansed by the seven sacred springs of the property, and nourished by the abundance that surrounds, this training offers a space for deep and purposeful growth. With such creative freedom, we leave with a strong momentum to incorporate yogic principles in all aspects of daily life, feeling deeply inspired and clear in our own sense of divine balance. Explore this fascinating region before or after the course, with attractions such as the Great Smoky Mountains National Park, the most visited National Park in the U.S. 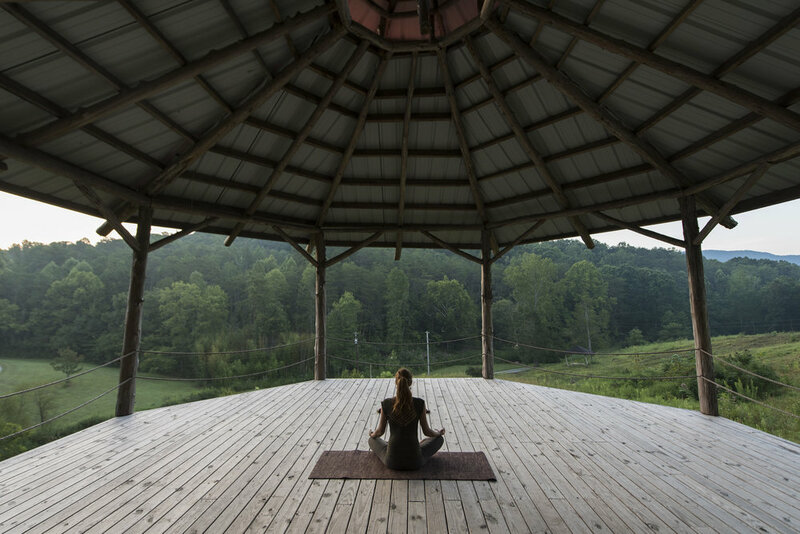 Seven Springs Vision: Seven Springs Holistic Retreats is a place of natural abundance and cultural diversity where people learn how to create holistic sustenance for themselves and their communities. Seven Springs Mission: To provide an innovative and transformative space for local and global communities to experience high quality holistic education. Since a young age, Jessi has studied dance and creative movement. Yoga found Jessi seven years ago, and since her first RYT200 teacher training in 2008, Jessi has led retreats and workshops throughout the States, Guatemala, Mexico, Peru, Colombia, and Costa Rica. She completed her RYT500 hour certification in 2012 and now leads teacher trainings in these places she most enjoys to share. Gaiatri is a passionate teacher, a channel of wisdom that seeds deep understanding, trust and enthusiasm. The holistic nature with which she approaches life imbibes her students with a full spectrum of teachings and skills. Gaiatri lives the philosophy of yoga both in her self practice as well as off the mat. Gaiatri is ERYT 500 certified, has a honours degree in Psychology, is a talented Musician, a Reiki master, Breath work practitioner, Energy healer, Sound Healer, Curandera holding ceremonies with various shamanic master plants, Channel for the Angelic realms, Shamanic Astrologer and Initiate into the Hermetic Qabalah.